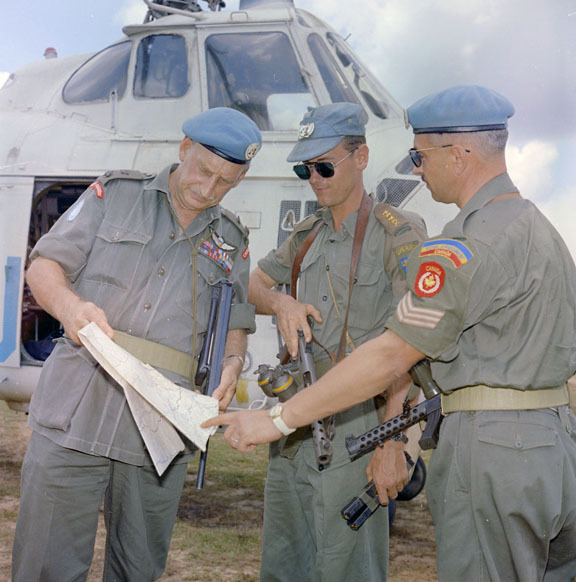 Awarded George Medal as Lieutenant-Colonel Paul Augustus Mayer, MBE, CD as per London Gazette of 16 October 1964 and Canada Gazette of 03 October 1964 while serving with the Canadian Army in the Congo. 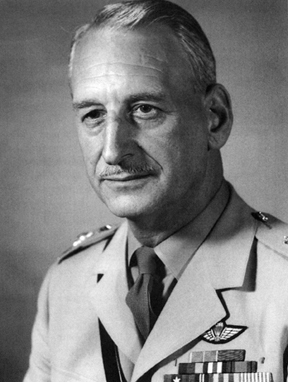 At one point Lt Col Paul Augustus Mayer, MBE, GM, CD, served as Chief Instructor at the Guards Depot and Senior Major of the 1st Battalion. To be Additional Officers of the Military Division of the said Most Excellent Order :— Major Paul Augustus MAYER, C.D. (ZB 2864), The Royal Canadian Infantry Corps. St. James’s Palace, London S.W.I. ZD 2864 Lieutenant-Colonel Paul Augustus MAYER, M.B.E., C.D., The Regiment of Canadian Guards. 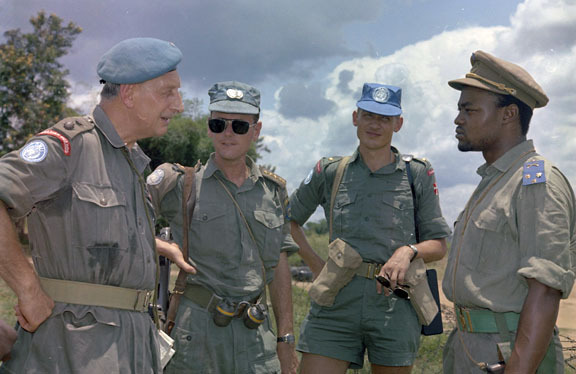 On 24th January 1964 Lieutenant-Colonel Mayer was charged with the rescue operations of American and European Missionaries in Kwilu Province. 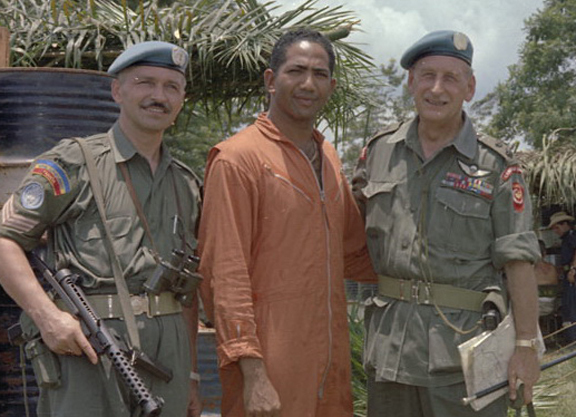 On 27th January 1964 during a rescue operation at Kisandji this officer rescued two nuns and three priests. Eight nuns and one priest remained. He was requested by one of the priests to speak to the native chief in an endeavour to free the remainder of the Missionaries. During talks with the native chief council, Lieutenant-Colonel Mayer was hit on the back of the neck with a club and knocked unconscious. Members of the Jeunesse removed his revolver, beret and web belt. The council argued for killing him there and then. They informed him that if one shot was fired he and all the nuns would be killed. At this point, a frenzied Jeunesse thrust the pistol in his stomach and pulled the trigger. Fortunately there was no round in the chamber. In the meantime three priests and two nuns were able to board the helicopter. After arrangements had been made to free the remaining eight nuns, Lieutenant-Colonel Mayer was allowed to leave amongst a wild and screaming mob. During the whole operation, this officer’s life was in constant danger. His behaviour at all times was exemplary. His courage and composure was an inspiration to both the UN Personnel serving under him and also for the Missionaries. On several occasions he refused to leave his post until all Missionaries had been evacuated. He behaved at all times well above the call of duty and by his patience and energy in dealing with the members of the Jeunesse saved many lives.